Amanda is a graduate of the 2200 hour program of Westcoast College of Massage Therapy. She has always had an interest in healthcare, and loves helping people with their health and wellness. Headaches, athletic injury rehabilitation, postural issues, and TMJ dysfunction, among others, all greatly interest Amanda. Through assessment she looks at the body as a whole and treats the root cause of her patients’ issues accordingly. In her treatment she uses a combination of neuromuscular techniques, trigger point release, myofascial release techniques, and Swedish massage to help release soft tissue. On her days off, she enjoys being in nature, photography, spending time with family, and hiking or camping on non rainy days. 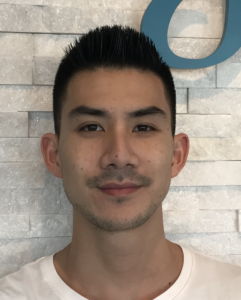 Edward graduated from the 3000 hour program at West Coast College of Massage Therapy in 2013. His studies from the program have given him exposure to perform therapeutic massage to a diverse range of population from youth to senior. Edward utilizes his assessment skills combined with his years of experience to improve the quality of life for his patients. Edward started giving back to the RMT profession by taking up the role of clinic instructor in 2018. He enjoys teaching and passing on his experiences to the next generation of RMTs. 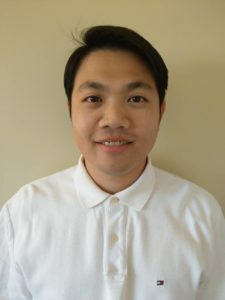 Currently, Edward is a RMT program clinic instructor at Langara. During his free time he enjoys going to the gym or spending quality time with friends and family. Edward speaks fluent English and Mandarin. 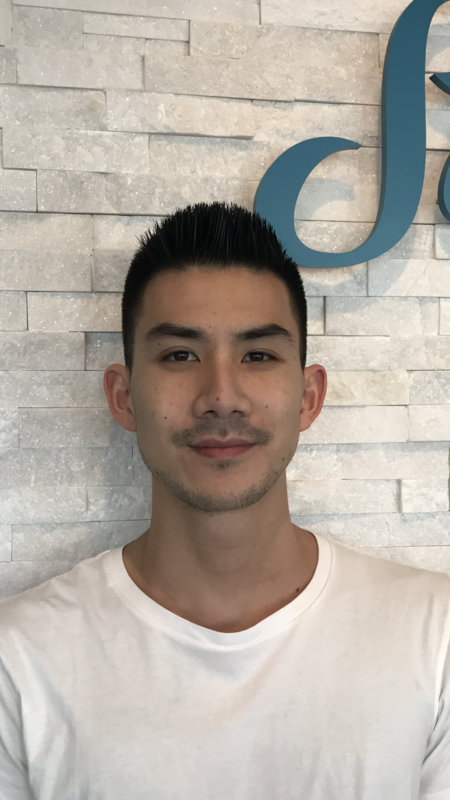 Jared Liam Wong is an active yogi who offers treatments that integrates both manual therapy and body awareness. He obtained his Massage Therapy Diploma from West Coast College of Massage Therapy where he completed 3000 hours of diversified hands-on training with patients from different backgrounds and injuries. He has had the opportunity of treating competitive athletes, and also patients in rehabilitation hospitals and palliative care. Jared has a passion for helping people heal and believes in a realistic methodical holistic approach. He is thorough in assessing his patients, spends the time in identifying and treating problem areas. In his treatments, you will find him working along with your breathing, which can provide an even more effective release, while simultaneously bringing more awareness to the body. For long term care, Jared will also provide you with patient education and exercises to make sure you stay pain-free longer. From my interest in sports and in the human body, I’ve completed my Bachelors of Science in Kinesiology at Simon Fraser University. I’ve worked at many health clinics, which inspired me to pursue massage therapy at West Coast College of Massage Therapy as a helping hand to the healthcare. I enjoy making a positive impact in patients’ wellness. The therapist and the patient are part of an individualized team; meaning the therapist communicates well and uses their skills to help achieve the patient’s goals and needs. I work with a combination of myofascial techniques, deep tissue releases as well as joint mobilizations when needed. Outside of work, you’d find me on the court, as I’ve competed in nationals for badminton during my high school days. I enjoy teaching, coaching, and spending time with the family on my off days! Wynne is a registered massage therapist with a Bachelor of Science degree majoring in Cell Biology. Wynne treats a wide variety of conditions using a number of techniques such as Swedish, deep tissue therapy, joint mobility, myofascial release. Her approach is to develop individualized treatment plans while taking into consideration of other compensating structures in the body, hoping to help facilitate the body’s ability to recover from the condition and/or to restore the body’s optimal level of performance. On her off time, Wynne stays active doing yoga and enjoys outdoor activities like hiking and walking on the beach. Wynne is a 100% softball and volleyball mom as well as cheerleader. In addition to English, Wynne is also fluent in Cantonese and Mandarin. 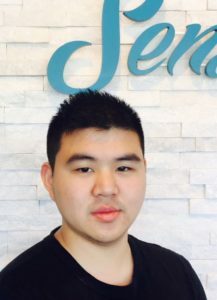 Shin graduated as a Traditional Chinese Medicine Practitioner in 2010. Shin practiced TCM for several years before he pursued additional knowledge in the human anatomy and health care at West Coast College of Massage Therapy. 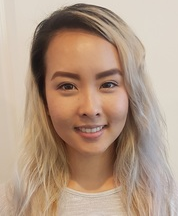 Shin received the diploma of Registered Massage Therapy in 2018. Shin has treated a variety of illnesses and helping patients restore their wellness is the main focus of his practice. Outside of work, Shin enjoys meditation, ping pong, and spending time with family. 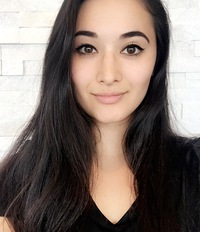 Nikki is a passionate body worker who graduated from West Coast College of Massage Therapy in April 2018. Having also completing a spa therapy program in 2009, Nikki integrates a relaxing flow to her therapeutic treatments. Her main focus is to help those who are seeking rehabilitation from injuries and illnesses. 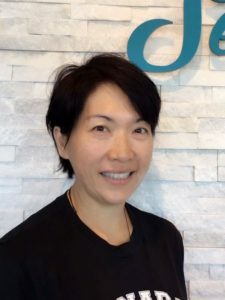 She has treated patients with central and peripheral nervous system conditions, tendonopathy, muscle strains, structural deformalities and pre and post pregnancy. Maria graduated from the 3000-hour massage therapy program at Langara College. 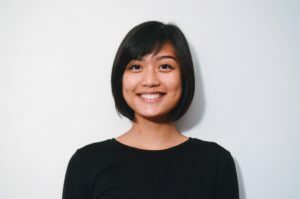 During her schooling, she had the opportunity to work with a variety of individuals: including athletes at Harbour Dance Centre and The Hive Bouldering Gym, seniors at West Vancouver Senior Activity Centre, and participants at Vancouver General’s Spinal Cord Injury Centre. In all of her outreaches, Maria witnessed the importance of the mind-body balance for the healing process and thus incorporates it into her relaxing treatments through breathwork and movement. Maria is currently waiting to write her registration exams in March. Following her boards, she plans to advance her introductory Cranial Sacral Therapy and Visceral Massage skills to further empower her patients’ healing. Outside of clinic, you can find her nose in a book, doodling, or exploring the beautiful landscapes of BC. 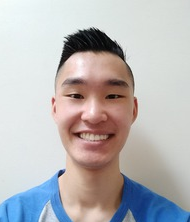 Vincent graduated from the West Coast College of Massage Therapy in April 2019. He will take the registration exam this September to become a licensed RMT. 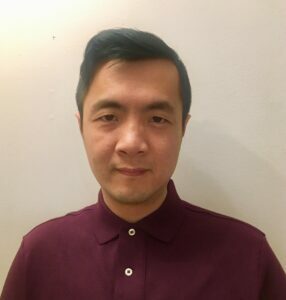 Also, he learned acupressure and acupuncture from Guangzhou TCM University, which gives him a strong sense in integrating the therapeutic massage techniques with TCM theories. Vincent has experience in treating sports related injuries, headaches, myofascial pain syndrome, muscular imbalance, frozen shoulder and neurological conditions. He can incorporate techniques in treatments such as Deep tissue massage, Myofascial release, Trigger point release, Joint mobilization and Muscle energy techniques. Vincent speaks: English, Cantonese and Mandarin.